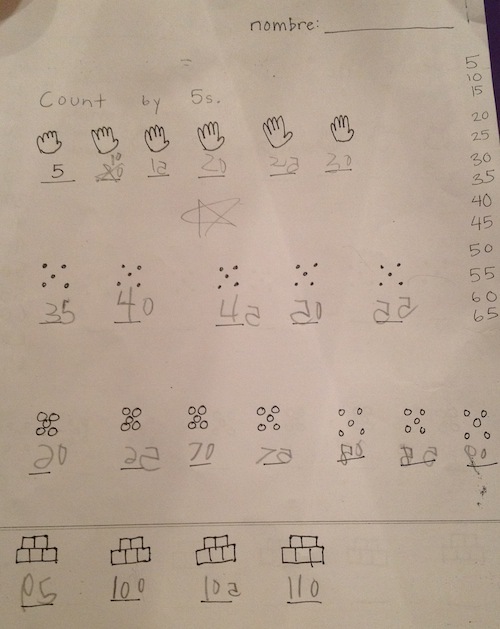 This entry was posted in Number and tagged 6 years old, counting, fives, number language, numeration, Tabitha. Bookmark the permalink. Funny, I had just read this post, and my 4.5 year old decided on his own to count all the way to school (2 mi bike ride). It’s fun that kids can pass time by practicing their numbers. It’s even more fun when it’s their idea, and it’s not forced upon them.